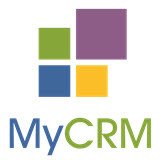 MyCRM Blog | What should you consider when selecting the right CRM Partner? ← The “Customer is King” or should it be “CRM is king” … Why is CRM so important? What should you consider when selecting the right CRM Partner? Be clear with what you are wanting from your potential CRM partner, so that they are also clear of what needs to be done and how long this is going to take. Without knowing this, it can cause disappointment when deadlines haven’t been made because the timescales were unrealistic. Set out a plan of what you want and give it to your CRM partner straight! Treat the research into your potential CRM partner like an interview, dig out customer testimonials and decide whether they’ll be a great fit for your business! Do you want your potential CRM partner to have a background in your industry? If that’s important to your business, don’t choose the first person you find and do your research. It may help to have someone who knows your industry, but it’s not essential. Make sure you are clear about what you expect from your new CRM partners. We are clear to our clients and we will be honest when we think timescales are unrealistic for what needs to be achieved. As long as everyone is on the same page, the relationship will work. Be completely honest, say when you don’t understand or when you haven’t done something. Learning later on that there is a miscommunication is much more frustrating than if you are honest to your CRM partner when asked. Communicate, Communicate, Communicate with your CRM partner and make sure they are very vocal with you, when they need something or when you need something from them. Make sure you're able to get information from them promptly and the same goes for yourselves.